How Much Does Daycare Insurance Cost? Daycares are as different as the children you care for, and our insurance policies reflect the uniqueness of your business. Your daycare insurance cost and policy will be specific to your needs; home daycare insurance costs will be different than those of a commercial center, and locations and services can also have an impact. Your specific daycare insurance cost will be based on a number of factors, such as where your daycare is located, how many employees (if any) you have, how many children you care for, and more. Still, there are some costs that remain consistent for all our customers. You can rely on the fact that you can pay monthly or annually for your daycare insurance, whatever you prefer. There are no extra fees or hidden costs. You can depend on $0 deductibles on all our daycare policies, regardless of which level of daycare insurance coverage you choose. You can even benefit from unlimited, free certificates of insurance, available online whenever you need them, even if you need to add an additional insured. Whichever of our policies you select, you can be sure that your insurance provides the coverage that you need to work and expand your business with confidence. 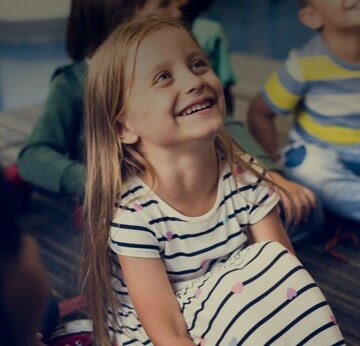 Take a look at the information below to get an idea of some of the daycare insurance coverage that we offer, but make sure to get a quote to find out what your daycare insurance cost would be. You can get your free daycare insurance quote online now and buy your insurance in just a few minutes. It’s available 24/7. How Much is General Liability Insurance for Daycare? General liability insurance for a daycare costs our customers an average of about $646 annually, or $54 per month. General liability claims are most often the ones you never see coming, and they include the situations are virtually impossible to anticipate. That makes it especially important. How Much is Professional Liability/Errors and Omissions Insurance for Daycares? Professional liability insurance is different than general liability insurance. While general liability insurance covers mistakes and accidents that can happen at any daycare, professional liability insurance is more specific. Professional liability insurance for daycares relates to claims that you did something wrong at your job. If a parents claims that you didn’t spend enough time with their child and that has led to developmental delays, you could face a professional liability suit. If a parent suggests that you were negligent in the care you provided, a professional liability suit is possible. We don’t sell professional liability insurance for daycares as a separate policy. Instead, it’s part of the daycare insurance cost you already pay in every daycare insurance policy we sell, at no extra cost. That fact means that no matter what level of coverage you choose for your business, you’ll also have professional liability insurance for daycare. With this level of coverage, you can handle that tantrum, feed that child, or handle whatever comes your way next. What’s Covered by Daycare Insurance? A child slips and falls at the daycare on a rainy day. They get a concussion and require an emergency room visit. A daycare in the next town over claims you copied their advertising strategy and sues you for damages. A parent catches one of your employees bad-mouthing them on social media and decides to sue you. You accidentally break a child's expensive handheld gaming device from home and their parents demand $1,000. A child trips in your house while running around and burns their hand on the stove. They make a trip to the ER. They ask you to pay for the $5,000 medical bill. A child's parent claims you didn't teach them properly, and hampered their development. They decide to sue. What’s Not Covered by This Policy? This is a brief summary of your policy and does not supersede the policy documents. If you want full details, please contact us. Why Choose Next Insurance for Your Daycare Insurance Coverage?